NASHVILLE, Tenn — “Take that leap of faith,“ encouraged Rev. 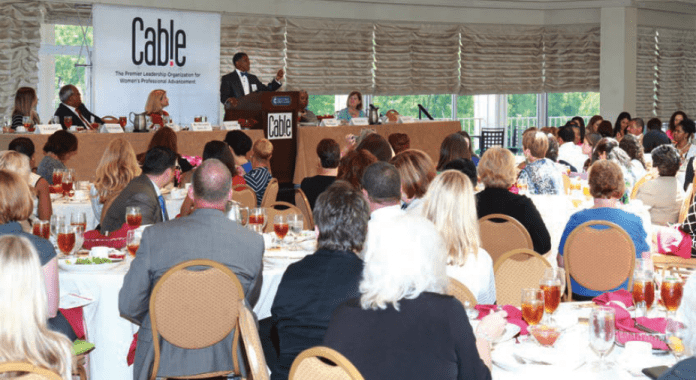 Howard E. Jones, Jr. of Nashville’s Fairfield Missionary Baptist Church to Nashville Cable’s luncheon, a women’s leadership organization. “If you didn’t, you wouldn’t be where you are.” His church took the leap by opening the Kingdom Café on 2610 Jefferson St. A place “with a meal and a mission” to serve good food, stimulate economic opportunity, act as a think tank, exchange ideas, educate and welcome meaningful conversation. Their intention was recently rewarded with a standing-room-only, town hall meeting of nearly 200 on the topic of national police shootings. Jones said he heard a lot of pain. When they opened, “We wanted to clean up the neighborhood,” he said, so they invited the police to come and help pick up litter, which they actually did. “We want to teach pride and cultural awareness.” Jones says they also teach ‘street law’ to area youth. Jones remembers following the TSU Marching Band thundering down the street as a child and noted Ed Kindall’s Book, A Walk Down Historic Jefferson Street, saying, “If you were into music, you came to Jefferson Street to hear Jimi Hendrix, James Brown and the Big Bands. This is Music City!” adding that North Nashville and Nashville belong to each other. 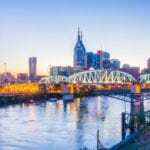 Established in 1978, Cable is Nashville’s largest women’s networking and career advancement organization for more information on membership and events please vis- it nashvillecable.org,” said Susan Huggins, president & CEO of Cable.